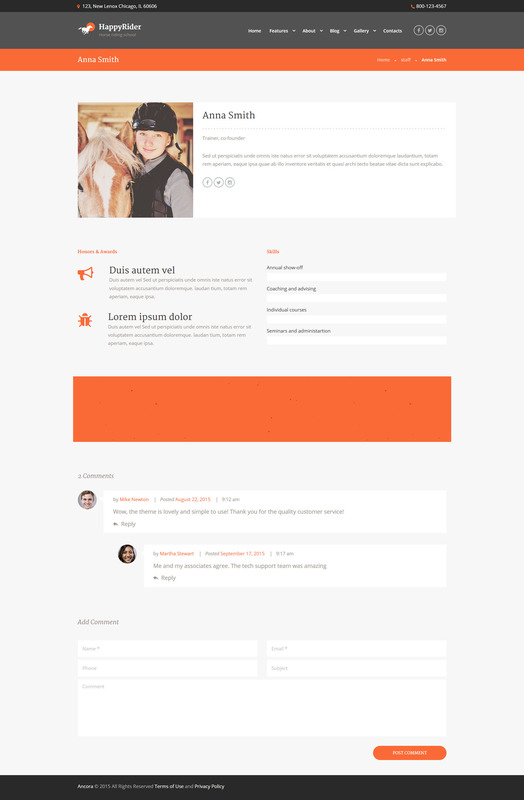 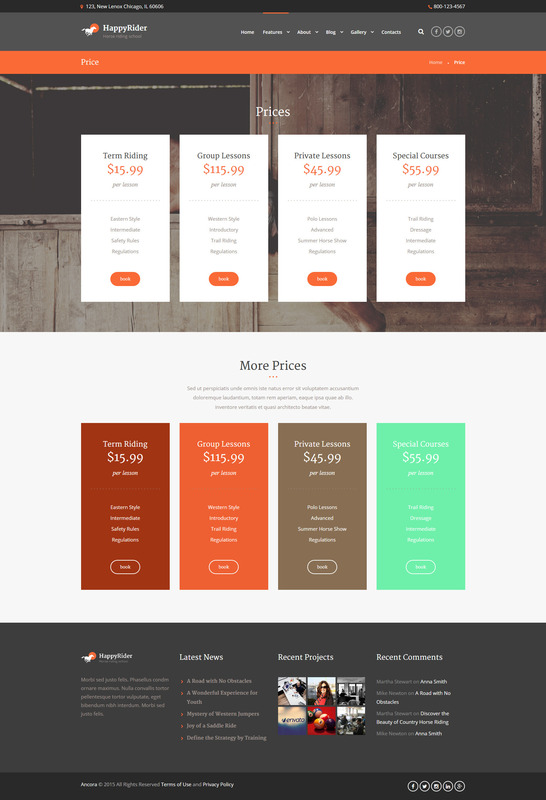 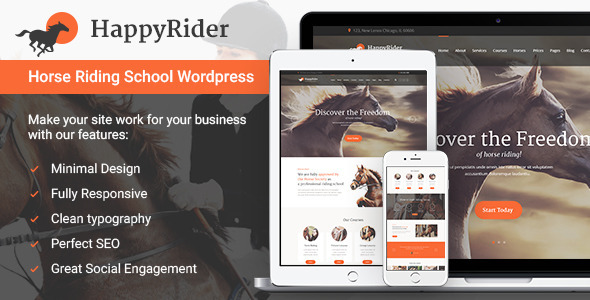 Happy Rider – beautiful fresh & clean WordPress Theme. 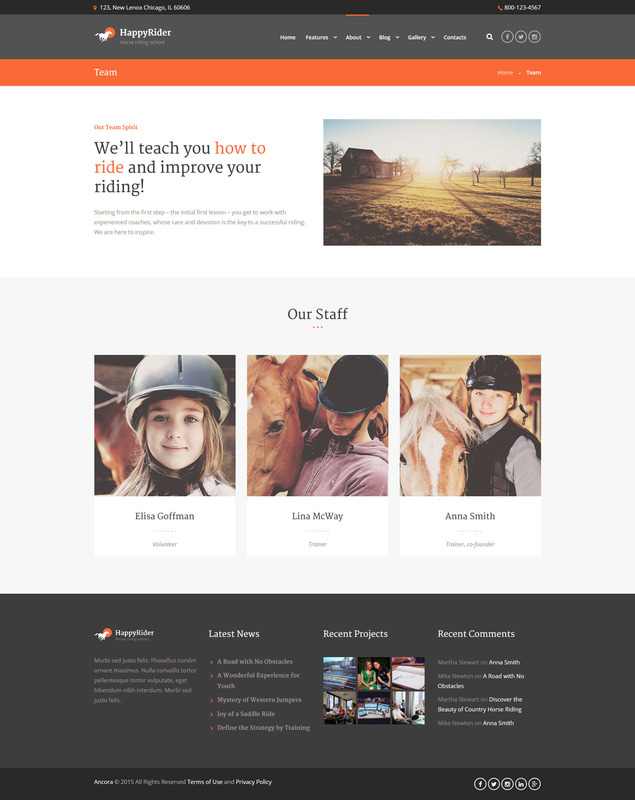 It is designed for modernequestrians, horse riding associations, clubs, schools, courses, horse ranches and riding stables. 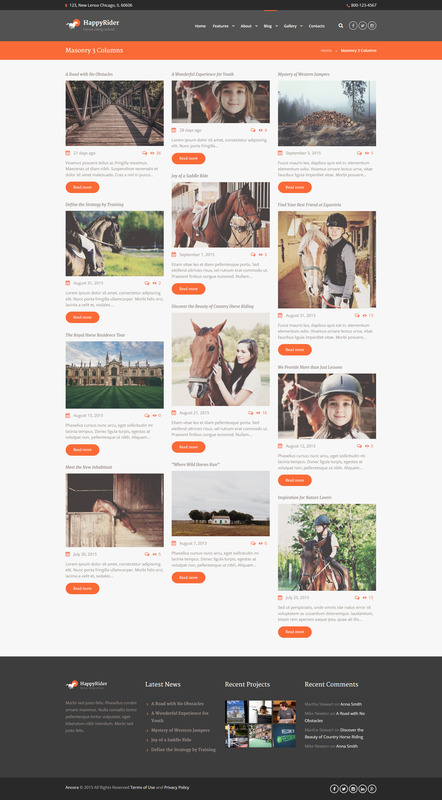 Stylish design and handy layout is great for indoor & outdoor horse club, including events, staff (trainers, coaches, teaches), pricing and booking option (to ride horses). 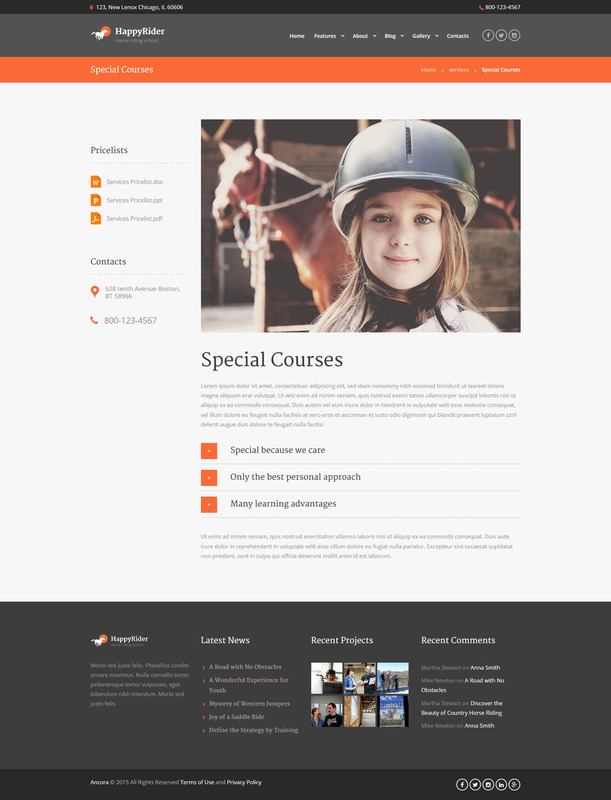 It is also suitable for horse taming center, stampede arena & rodeo. 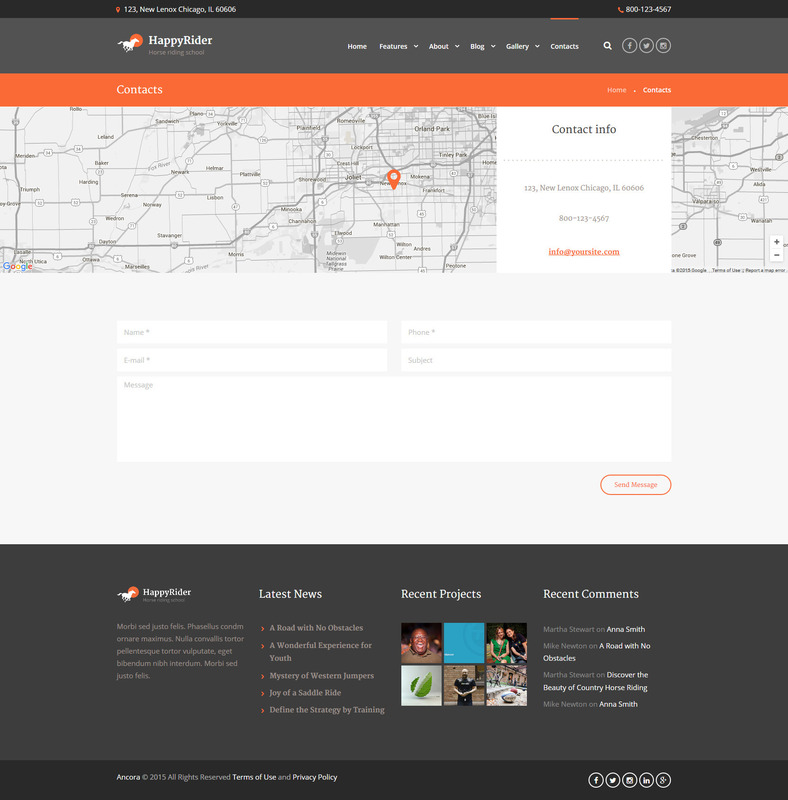 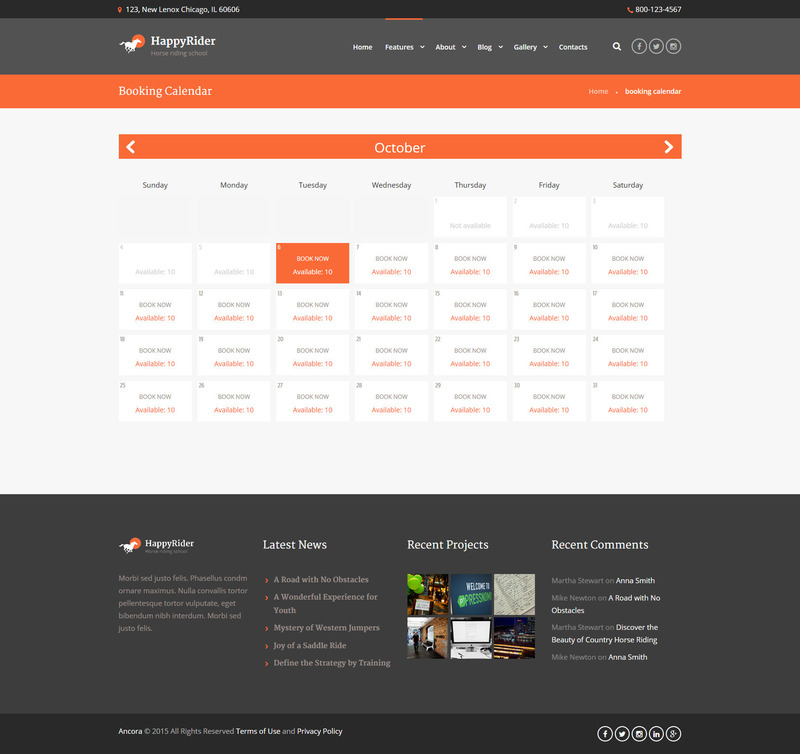 It is compatible with WPBakery (aka Visual Composer, which we think is better than Elementor). 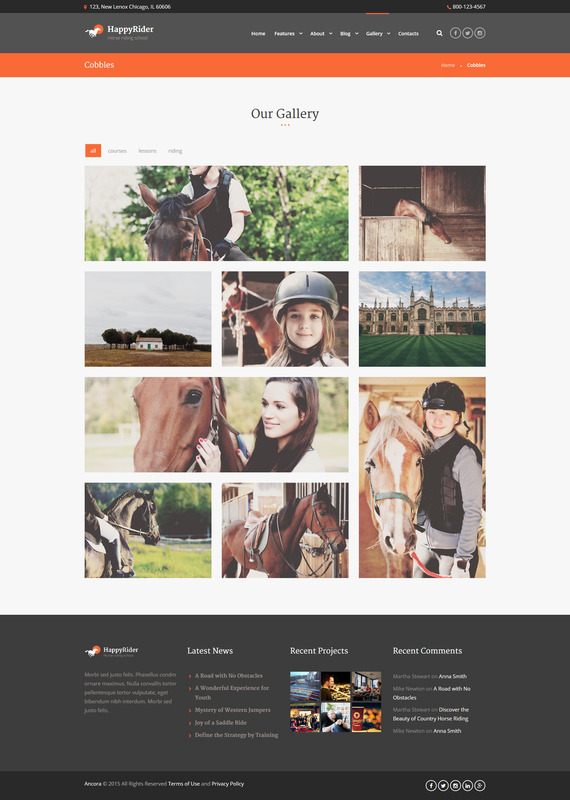 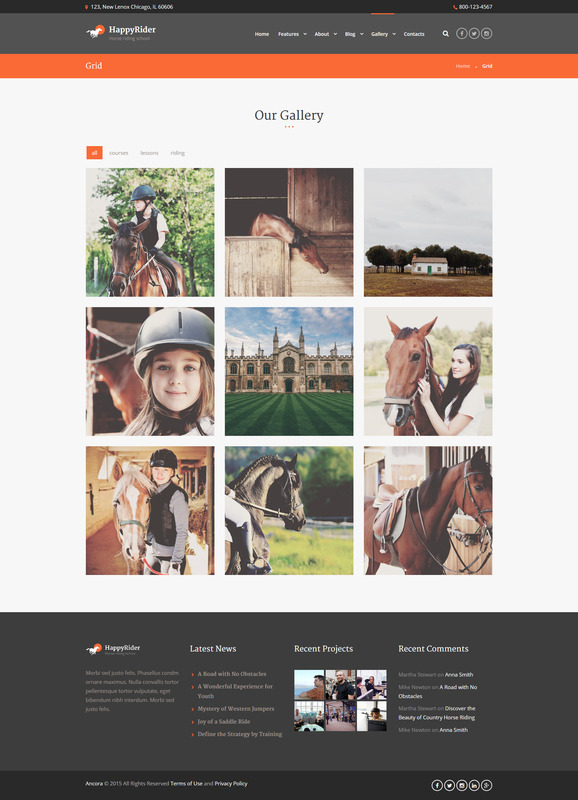 Happy Rider can also be turned into an equestrian online store due to WooCommerce compatibility. 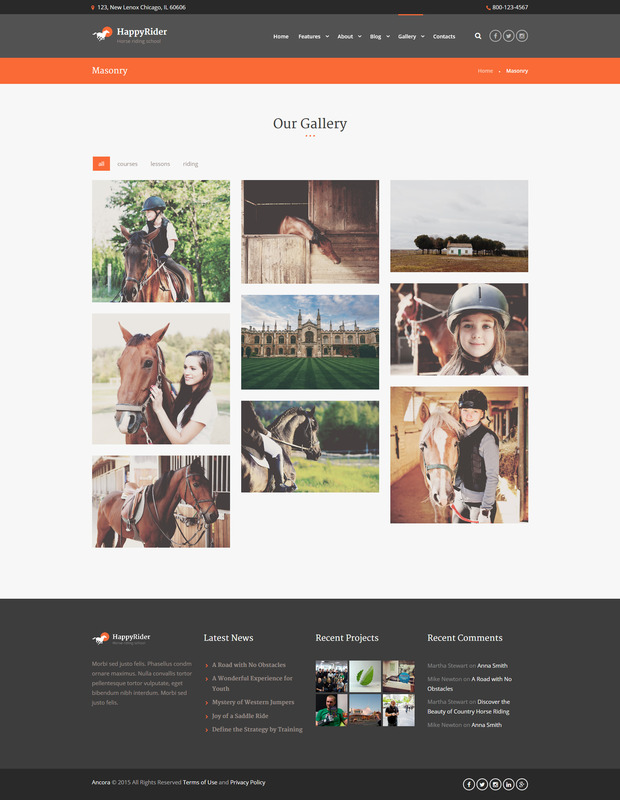 Also it works with Essential Grid & Revolution slider to make your website memprable. 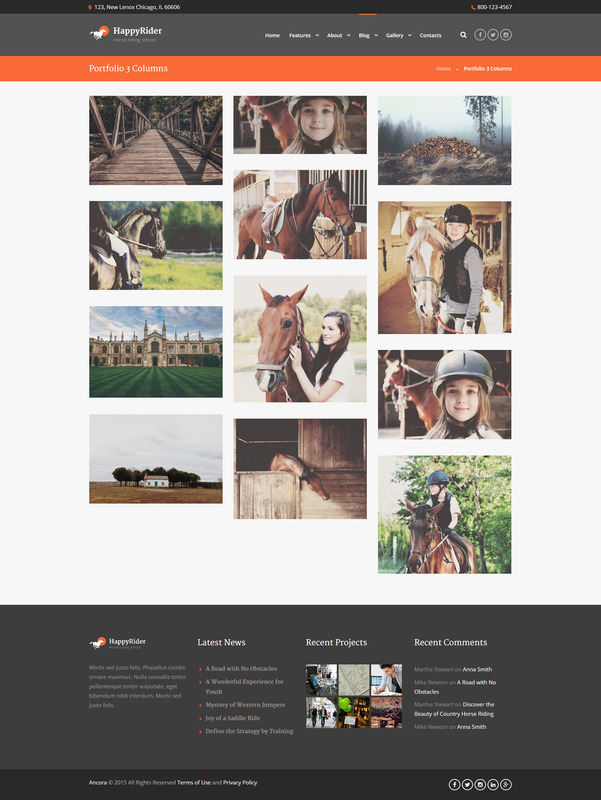 - Importer is moved to HappyRider Utilities plugin.